Arts & Crafts, Oak and Brass, C1900. 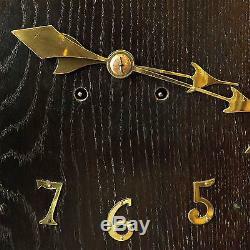 This is a wall clock in Oak and Brass C1900. 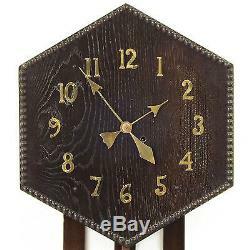 The hexagonal clock face is veneered in black oak with an oak bead moulding perimeter. 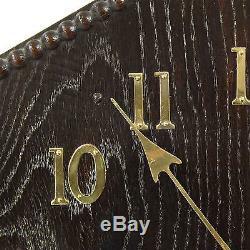 The numerals and the hands are in brass and there are two winding holes. The rectangular framework is oak with applied bead mouldings. 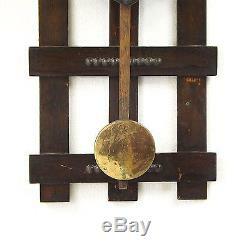 The pendulum is in brass and is held on an oak arm. 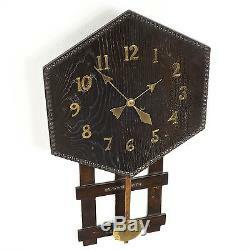 The mechanism is enclosed in a pine box which has a paper label affixed which gives instructions for winding the clock. 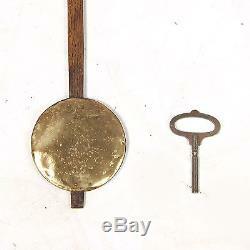 The original key is present. 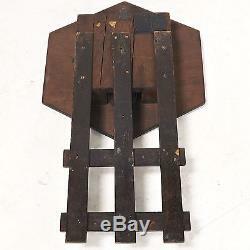 Condition, is original, there are no repairs to the woodwork and the finish is the original. 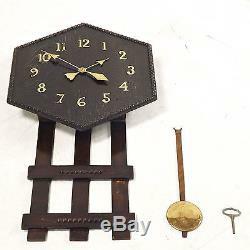 The mechanism has not been inspected but the clock has been wound then left to run and it appears to keep time. 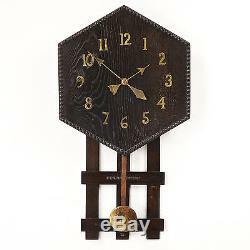 An attractive clock with good period style and quite probably a singular item. Height: 78 cm / 30 ¾ inches. Width: 42 cm / 16 ½ inches. Depth: 9.5 cm / 3 ¾ inches. N Ireland, Highlands & Islands please ask for a quote. Grimble's Barn, 29 Cottingham Road, Hull, HU5 2PP. 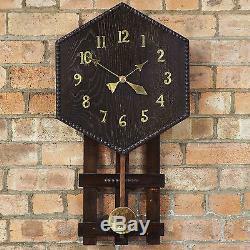 The item "Wall Clock Arts & Crafts, Oak and Brass, C1900" is in sale since Thursday, June 25, 2015. This item is in the category "Antiques\Antique Clocks\Wall Clocks\Post-1900". 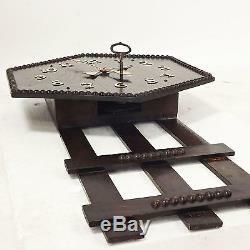 The seller is "stepheng1173" and is located in kingston upon hull, East Riding of Yorkshire. This item can be shipped to United Kingdom.